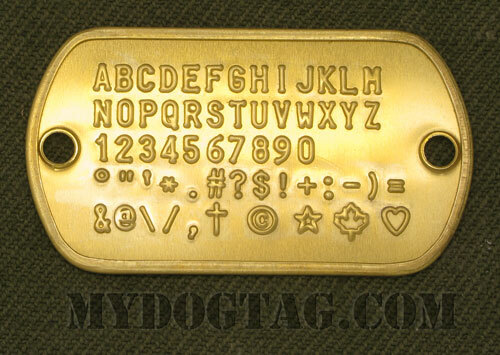 Add $9.00 to Customize your complete set with personalized text, chains & silencers. Solid Brass shiny surface with 2 holes, may patinate. 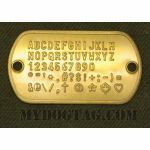 Ideal for no-dangle riveted pet tags, nameplates, or leather wristcuff. See an example of a fully customized Brass Flushmount Tag as an office sign, on a survival paracord bracelet. 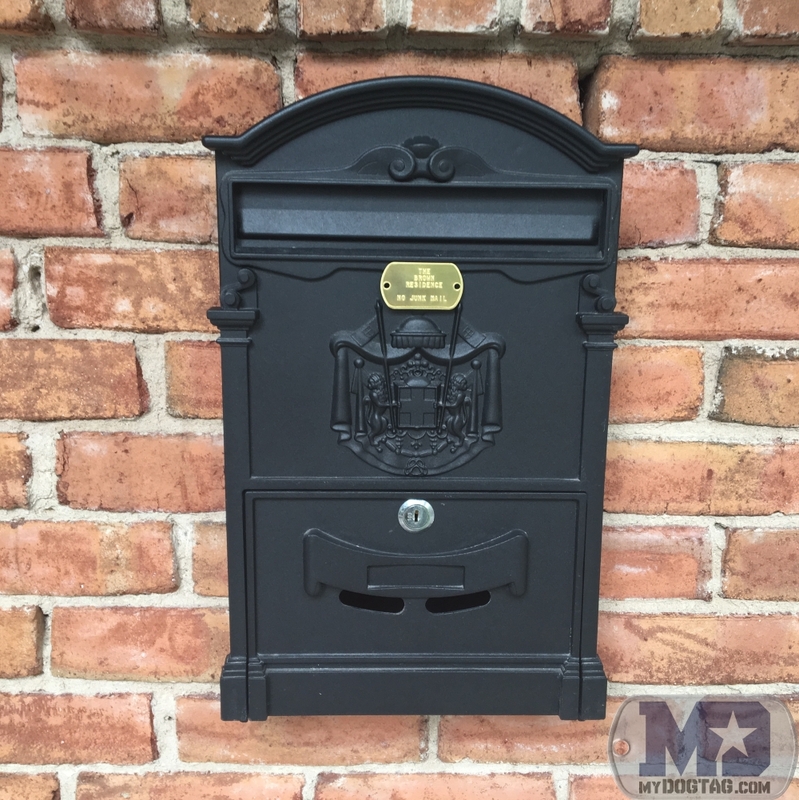 Brass Flushmount Tag on a mailbox "No Junk Mail"
Surface-mount tags Ideal for Industrial machines, vehicle V.I.N.s, aircraft, signage, braille, instructions, and for identification of cables, hydraulic hoses, raw materials, works in process, and finished goods. 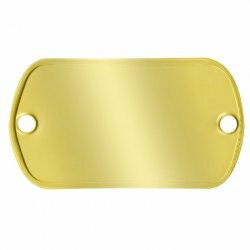 Our identification plates and tags provide durable solutions for identification and traceability requirements in harsh environments. Our plates and tags are manufactured to ISO standards, using DFARS compliant material, to ensure the highest quality product. 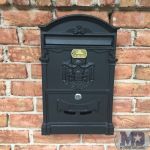 Metal plate embossing is the only permanent method of marking that will withstand tarnish, paint, corrosion and environmental damage.